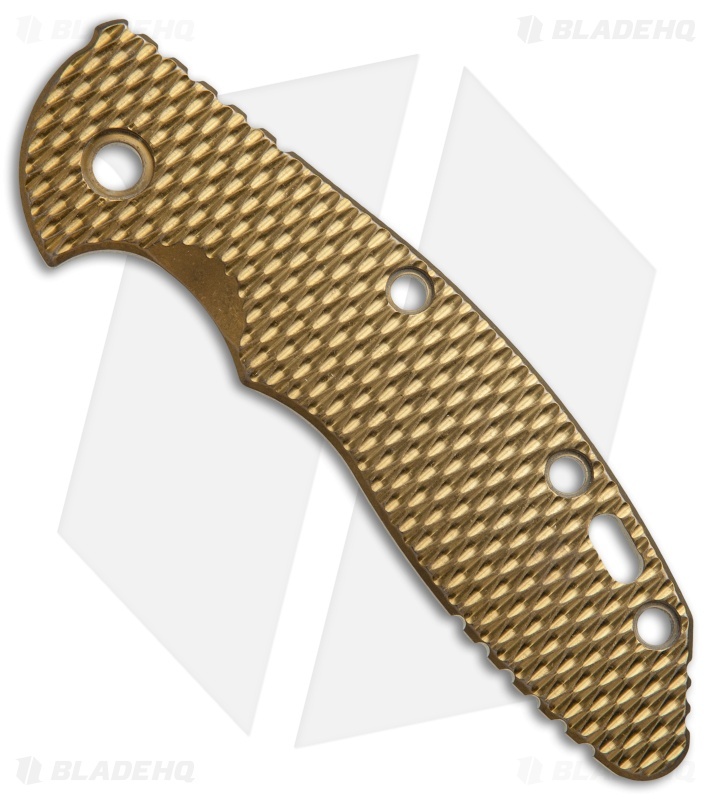 Add a customized look to your Hinderer XM-18 knife with these textured titanium replacement scales designed by Rick Hinderer. They are made from heavy duty titanium with a machined texture that enhances grip and feels good in your hand. This model comes in a gold anodized finish.